Auto Glass Discounters is one of the top Houston windshield replacement shop. We strive to deliver quality and unbeatable service – at a very competitive price. We only use the highest quality products and materials to ensure durability and reliability. Our technicians are seasoned and experienced and will do the job the right way the first time around! Yes, the thought of having to live without your car for a few days may be daunting. And with that, it makes people want to dismiss the idea of having it repaired or replaced right away. Well, a cracked or broken windshield left as is a magnet for disaster. DIY fixes just won’t cut it for something as crucial as a windshield. Not only is it unsafe to have a less than 100% condition windshield as you drive around the city with your family and friends. But it calls out to potential perpetrators to smash into and break into your car. When you choose us you are going to be working with the best Houston windshield replacement shop. You can trust our work as we have many customers who can vouche for our services. 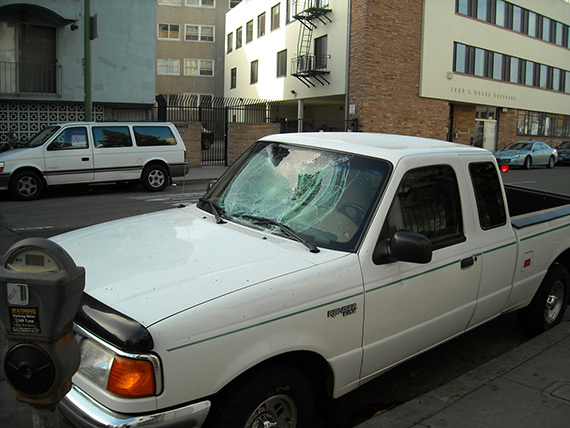 Auto Glass Discounters is definitely your best choice for windshield glass repairs and replacement. We’ve serviced thousands of happy customers. We deliver service, top notch quality and first class value. Stop by or call us today to get a free estimate and see why so many people choose us for their glass repair needs!